Art and architecture often share a blurry boundary, borrowing from one another as artists explore the built world, and architects experiment with abstraction. 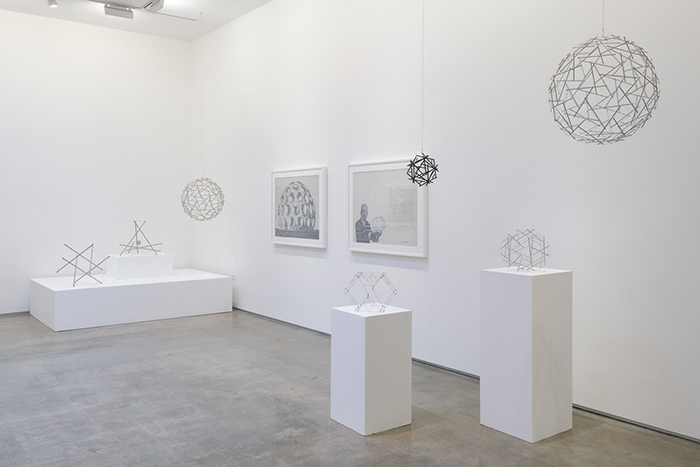 In the upcoming months, there are a number of must-see shows across the country for those interested in art with an architectural attitude. Turner-prize winning Rachel Whiteread has long been one of the most prominent contemporary figures of architectural art. 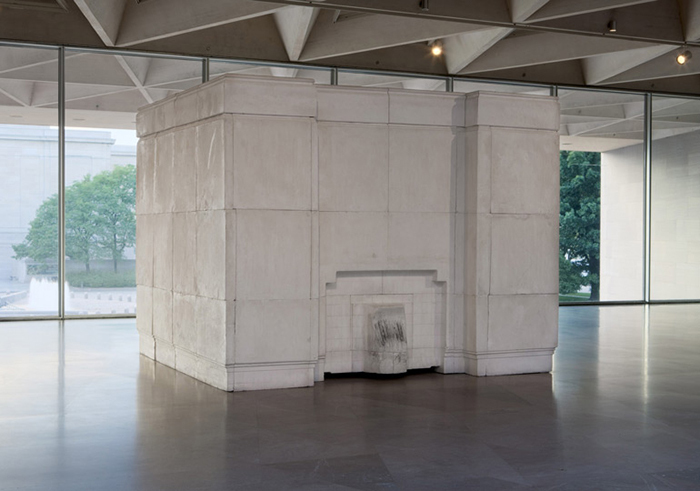 The artist, famous for her 1993 House where she made a concrete cast of the entirety of a Victorian home, is receiving her first comprehensive survey, which has been jointly organized by the National Gallery of Art and the Tate Britain. The exhibition comprises over 100 objects from her 30-plus year career, including documents, drawings, and large-scale sculpture. 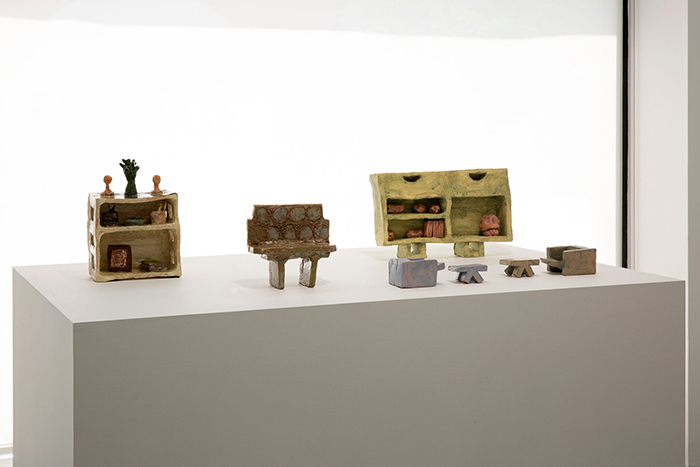 It also features a number of original works on view for the very first time. After a stint at the Tate and the 21er Haus-Museum of Contemporary Art, Vienna, Austria, the retrospective is on view this fall at the National Gallery of Art before it moves on to the Saint Louis Art Museum. 6th & Constitution Ave NW, Washington, D.C.
As part of CONDO New York, where galleries across New York City collaborate with other global galleries, White Columns partnered with First Street Gallery in Claremont, California, to present a solo show of Michael LeVell. LeVell, who was one of the eight founding members of the artist-run First Street Gallery, which was created by and for artists “living and working with mental, developmental, and physical disabilities,” creates acrylic paintings and miniature ceramic sculptures of domestic spaces and furniture, relying especially on the homes and furnishings featured in the pages of Architectural Digest, a magazine which he has collected exhaustively for years. The inimitable R. Buckminster Fuller, famous for his geodesic domes among many other inventions, is getting an exhibition that’s a first-of-its-kind for Los Angeles, the city he last called home. Centered largely around the limited-edition print Inventions portfolio, R. Buckminster Fuller: Inventions and Models will feature an array of prints, objects, and structural models produced in the last years of his life that highlight the radical thoughts of one of the 20th century’s most iconic architectural thinkers. This October, New York’s High Line will come to life as singers from across the city perform while visitors move down a mile-long stretch of the elevated park. 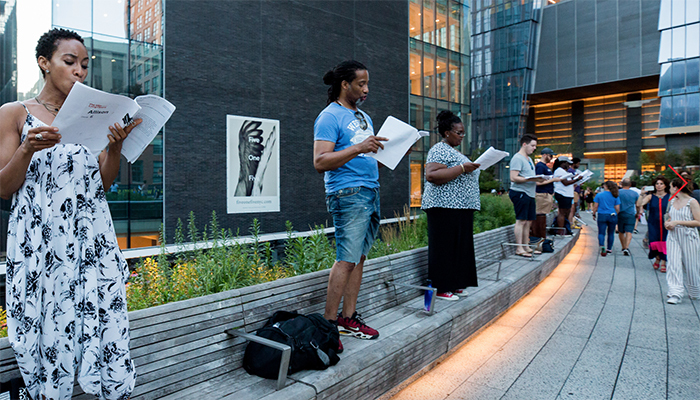 The opera was organized by High Line architects Diller Scofidio + Renfro along with David Lang, who is the opera’s composer, and features a libretto by classicist and poet Anne Carson and an essay from Claudia Rankine. While free tickets are already sold out for all five nights, hopeful attendees can still join a waiting list. Landon Metz likes to get a sense of the space his work is going to occupy before he creates it. 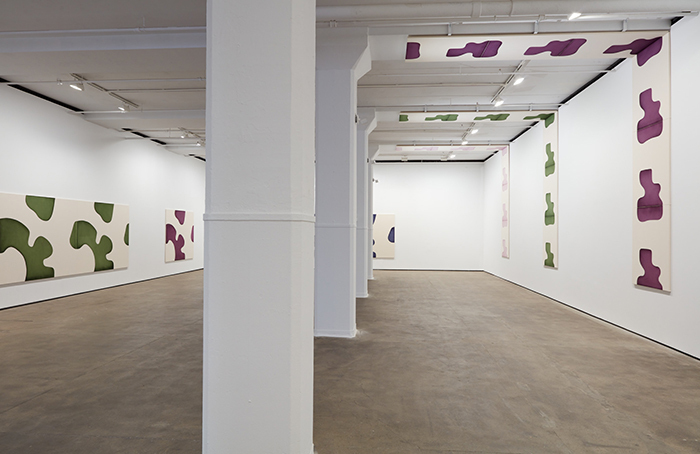 In Landon Metz: Asymmetrical Symmetry, Metz’s paintings of abstract forms presented in an array of diptychs, triptychs, and series, are all made-to-measure in sizes and proportions responding to the particularities of the architecture of Sean Kelly gallery. Most strikingly, this approach results in three ribbons of paintings, bending at 90 degrees, that fold from the wall to the ceiling, managing to make two-dimensional work that flows in and fills the intimidatingly immense space of the gallery.